Vastu works on the principle of maximizing various energies and designing your home or workplace in accordance to these energies. 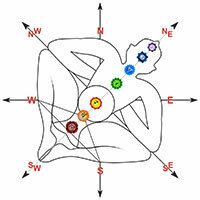 Everything is this universe is made up of the Panchabhuta or the five elements. The five elements exist both as themselves and as all other objects. The five elements namely Sky (Akash), Air (Vayu), Fire (Agni), Water (Jal), and Earth (Prithvi) are the basis of all creations. They are the building blocks of nature and all matter. These five elements have varied characteristics and knowledge, balance and harmony of these elements is what leads to health and happiness. It is the balance or imbalance among these Panchtatva that makes one's Space harmonious for the in dwellers or creates problematic life situations for them. An underground water tank in South Zone will cause anxiety, instability and lack of orders. Similarly, the fire placed in North Zone (Ether) will block new opportunities and will cause impatience and disturbed sleep, as they are attributes of this Zone. Northeast side is ruled by the presence of God consciousness. 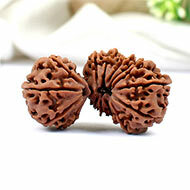 Therefore, this is one of the most important directions in Vastu and should be kept open and clean. 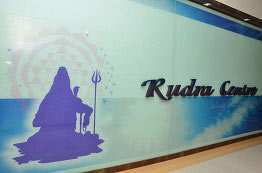 This area may be utilized for meditation purposes, Puja room or entrance or even living room. The Element present here is Spirit. In the Northeast direction, place Puja altar or Divine symbols. Keep this place open and spacious so that the rest of the dwelling is energized by the divine energies emanating from this area. 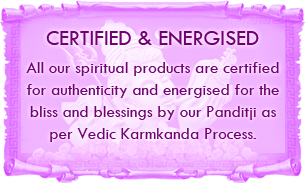 To energize this element you may keep Parad items, quartz crystals and idols of Gods and Goddesses. The Southwest direction is the area that provides energy, career success, wealth and stability to the dwelling. It is ideally utilized for bedroom and director's cabin. The element present here is Earth. In the Southwest direction, balance the Earth element by placing plants. Plants have the capability to absorb all kinds of negative elements and thus help in cleaning the environment. Also, Horse Shoe, brown and black gemstones, Iron items and indoor plants are ideal items to use for energizing the Southwest corner. The East side is known as the fulfiller of prayers and desires. It is from this side that manifestation is going to happen in your dwelling. Also, the East is where the sun rises, indicating life and health. This area may be utilized for living room, study room, meditation purposes, Puja room and entrance. The element present here is Fire that can be enhanced by installing Yantras, Chowkis, Cowries, Rose Quartz gemstone and Goddess Laxmi items. The God of Oceans, Lord Varuna, rules the West direction according to Vastu. This direction is best for creative pursuits. Children's study room and designing rooms are best placed here. The element present here is Water. To balance the Water element in the West, keep fountains or flowers floating in water containers in this area or Kurma idol. Rock salt lamps would be an ideal energizer in this area. Spray this area with bright orange colour or use Orange gemstones and allow creativity to bloom here. The Southeast direction is ruled by fire; hence, it has an abundance of energy in it. This is the area from where Prana (energy) is distributed to the rest of the dwelling. 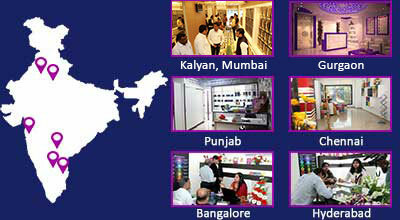 Ideally, it may be utilized for kitchen, board room, sales and marketing department and conference room. Southeast direction is ruled by the Fire element and should be balanced by lighting oil lamp, keeping pyramids, yellow gemstones, aura lamps and using sufficient lighting. A balance of the fire element will improve the health of all the dwellers. The Northwest direction is for air/wind. This is the most central to all elements and connects one to energy of all rooms. This is the area of maximum movements also. Here desires are fulfilled and it is best to have sales and marketing department, meeting room, living room and dining room. To balance the Air element in the Northwest side, simply open windows for some time in the morning. Let there be the circulation or ventilation of fresh air. You will find relationships improving when the air element is balanced. This is the direction of air, wind or aroma. 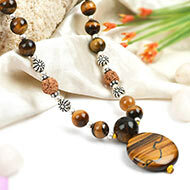 The energizers ideal for this element are Shells, Gomati chakras, Shaligram and aromatic diffusers. Use abundance of green colour or green gemstones to charge this area. The South is the area that provides energy and stability to the dwelling. It is ideally utilised for bedroom, director's cabin and store room. The element present here is Earth. 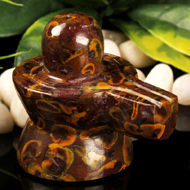 To enhance the power of Earth element, one can place Indoor plants, Red gemstones and Copper items in this area. The element present in the North side is Ether/Sky. This is the area for expression, creativity and communication. 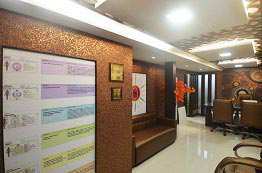 It is best to have study room, living room, board room and staff cabins here. This is the area of sound and colour is blue. 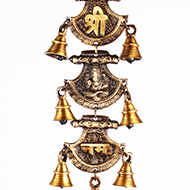 Use chimes and bells here and blue gemstones to energise this corner. If your house is built facing north or east; the living room should be in northeast direction. If your house is built facing west; the living room should in northwest direction. If your house faces south direction; the living room should be in south east direction. 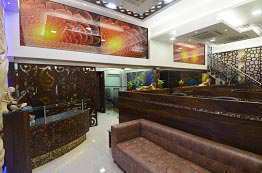 Ensure that the door of the living room faces East or North as the door placed in this direction invites positive energies bringing in wealth, bliss and profess at all personal and professional level. Furniture sets should be placed facing West or South. Fish tanks should be placed facing northeast direction. The main entrance to the house should be visible to the people or guests sitting in the living room. The guest should be seated such that they face South, West or South West. This will enable us to establish our authority in discussions or disputes. There should not be any mirror facing your bed. The master bedroom should be facing southwest direction. The shape of your bed should be square or rectangular. The doors of your bedroom may be eastward, westward or northward, but must not be in the southwest direction. Sleeping direction: Head should be in south and east, giving you sound sleep and ensuring proper repair of brains cells, respectively. Keep an image or a portrait of nature, river or an island on the wall facing the door. It means the moment you enter, your eyes should fall upon it first. Such pictures are soothing and relaxing. Your kitchen should face southeast direction which is under the reign of Lord Agni. The stove should be setup facing southeast direction. The sink should be facing northeast direction opposite the stove as fire and water do not blend in. The place for storing food grains, utensils etc. should always be in south and on the wall in West. The water filter or pot may be kept in northeast direction. Keep in mind that meals should be taken facing east. This will better the taste and help you digest the food. Your temple must be constructed facing east direction with the entry door in the same direction. The sun rises from east giving a profuse amount of light, energy and blessings. You must have the temple placed at higher level; the Lord’s feet come to the level of worshippers’ chest. Make sure that the temple room isn’t installed in the bedroom or basement. Never place any pictures of departed ancestors in the temple room. Make sure that the idols should not have their backs coming in contact with the wall behind. Never keep idols in the wall by cutting it as well. 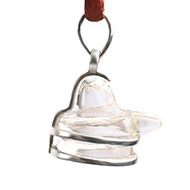 Better if a ghee lamp is lit and kept it alight 24X7 it welcomes divine and positive energy into your home. Unwanted items like belongings of a departed soul should be immediately disposed off. Floor of this room must be a little higher than the main building. 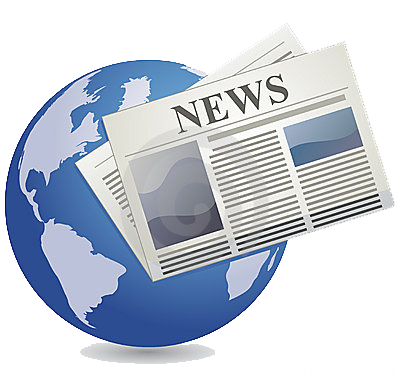 Articles not in regular use can be stored in the room and can be kept locked. Bathroom must have a window anywhere except W or SW. It is imperative to preserve the central area devoid of any heavy concrete structures. 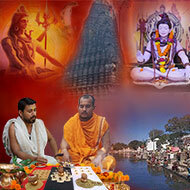 This area is ruled by Lord Brahma making it Brahmasthan. 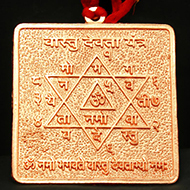 You may install Vastu Yantras that nullify the malefic defects of Vastu in the dwelling. 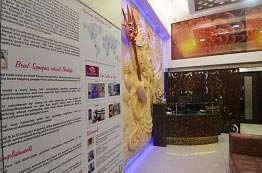 Vastu Tips For Temple Room A temple is a divinely central part of Indian homes.